I don’t eat much beef but today we had an intense workout with our trainers today and felt pretty depleted. It was actually my idea to prepare steak which is unusual. 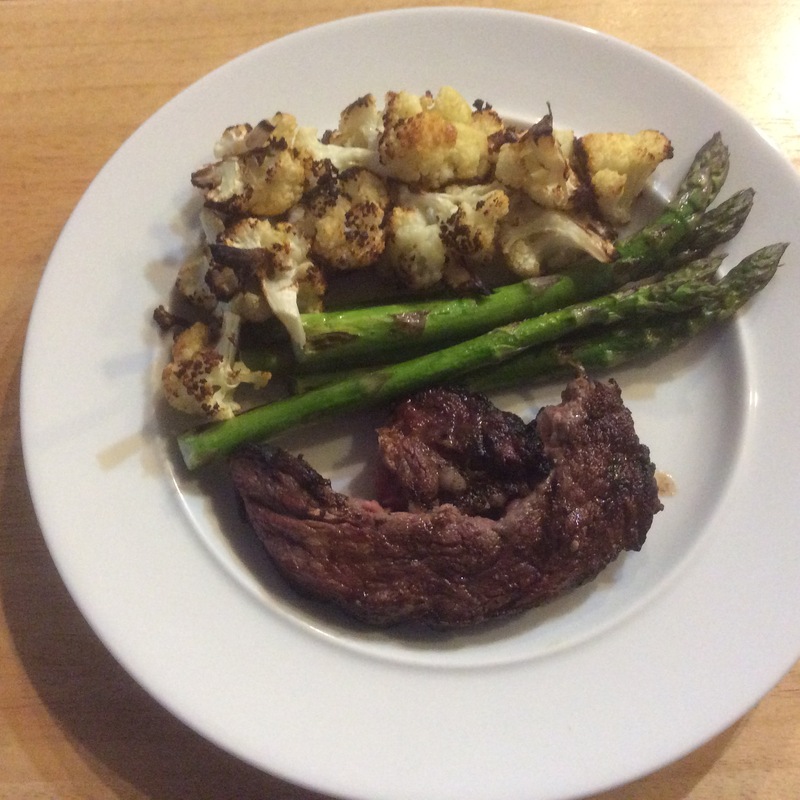 John grilled the steak to a perfect medium rare while I roasted the cauliflower and pan-grilled the asparagus. Since we were eating meat that is calorie dense, we decided to have two vegetables instead of a vegetable and a starch. This entry was posted in Uncategorized and tagged asparagus, ribeye, ribeye steak, roasted cauliflower, Steak. Bookmark the permalink.